On their debut LP, This Side Dawn, eclectic pop-folk-jazz-rock band Fox & Woman gives us an exciting window into their developing hybridized sound. Throughout the album, satisfying pop-inspired moments catch our ear while sporadic bursts of musical potential demand our attention. Though hindered somewhat by its unfocused instrumentation, This Side Dawn suggests the artistic honesty and commitment necessary for the band to ultimately hone in on their unique sound. Fox & Woman’s hearty female vocals and lush harmonies stand out on This Side Dawn, engaging the listener with their combination of sultry coarseness and feminine clarity. Pop melodies and intertwining harmonies on tracks like “Learn To Speak Mandarin” engagingly establish the album’s potential for comforting and satisfying melodic turns. In this track as well as others, vocals are complemented and reflected by nicely-composed string parts, creating a supportive bed of sound as the songs move. Whether they’re driving the album’s instrumentation from below with deep, full melodies or bringing its tracks to new heights with clear and pure upper-register notes, This Side Dawn‘s vocal lines epitomize the band’s potential to be unique. The album’s major weaknesses lie in its instrumentation, which often becomes muddled in layers that seem to lack direction. Almost all of This Side Dawn‘s tracks are built upon a foundation of drums, guitar, and strings, which—though undoubtedly drawn from the band’s plethora of musical resources—fails to become drastically differentiated from one song to the next. Often, for example on “Belly of a Whale (Side A)”, this instrumental foundation either follows expected patterns, failing to pursue interesting instrumental parts that arise, or builds momentum and drama with no real musical or thematic result. 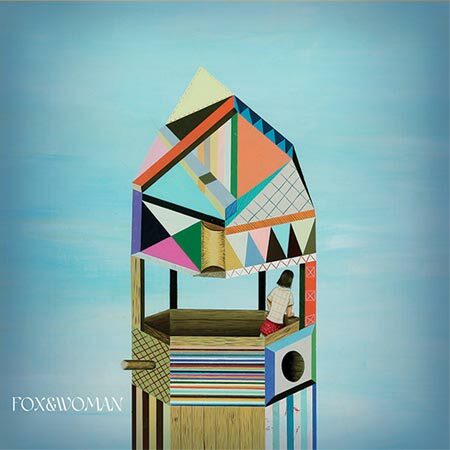 Though Fox & Woman begins to distinguish its sound on their debut LP through an eclectic and interesting mix of genres, their mingling styles don’t necessarily coalesce, resulting in the album’s tendency for an incohesive overall sound. And yet, there is still plenty of potential on This Side Dawn, particularly in its flashes of honesty, explosive vocals, and glimpses of instrumental variety and contrast. The album’s standout track, “Stay”, exemplifies a uniquely honest thread — one reminiscent of tracks like “Cruel” from the band’s folk-centric and genuine self-titled EP. Something in “Stay”‘s lightly-flourished, strummed chords, delicate vocals, and intertwining orchestral lines is strikingly sweet and open; on top of the song’s initial lone vocal melody, lush harmonies bloom in one simple expression: “If you could stay close a little longer.” Musically as well as artistically, “Stay” is emotive and encourages multiple listens. “Belly of a Whale (Side B),” similarly, captures the compositional potential of Fox & Woman. This track, more than any other, purposefully plays with genre and instrumentation, through contrasting and exotic-sounding alterations that support — rather than detract from—the music’s eclectic nature. Ultimately, Fox & Woman has the creative and musical resources to create something unique and evocative. By taking more vocal and instrumental risks, committing to interesting and original composition, and applying a sharper focus and an increasingly discerning eye to future records, the band has the potential to achieve the expressiveness and cohesion that This Side Dawn greatly anticipates.